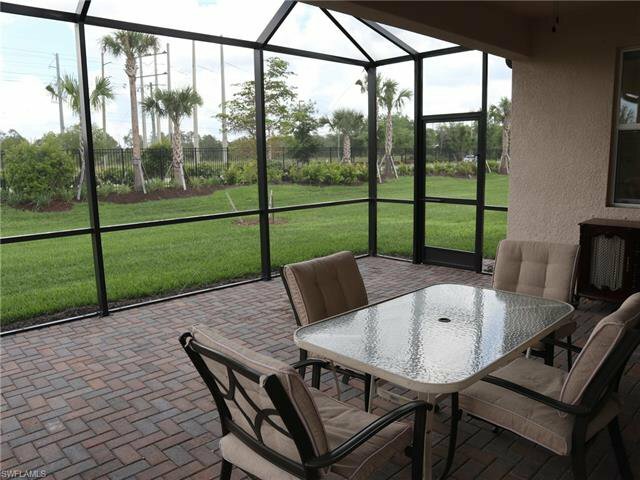 This landscaped front yard beautifully mirrors the paver driveway leading up to what could be your forever home! 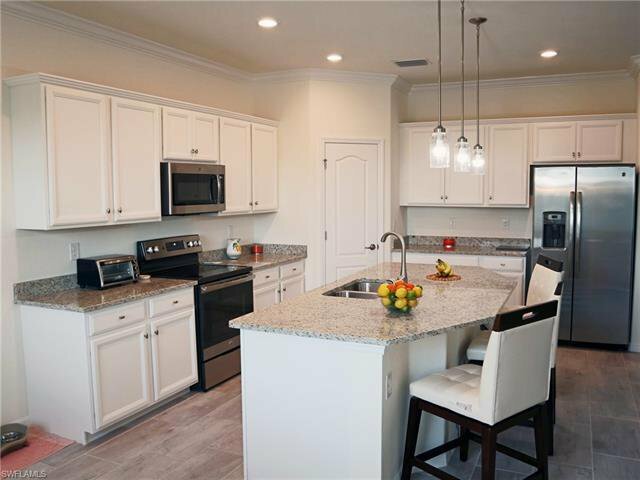 The bright, neutral design flows through every room. 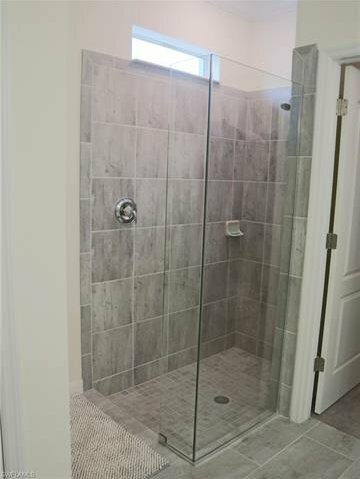 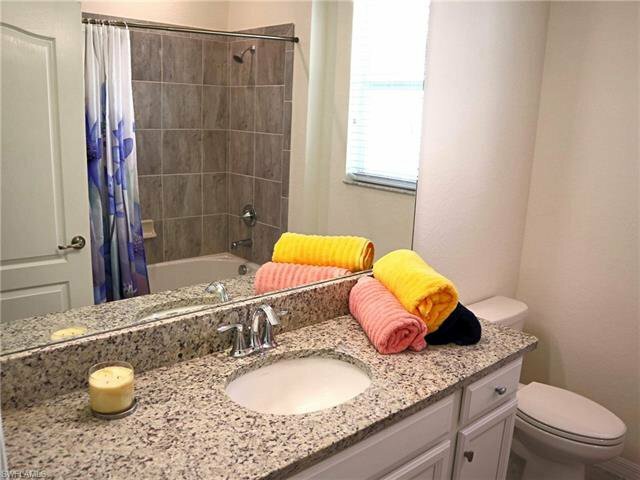 Take in the gorgeous tile throughout the whole house! 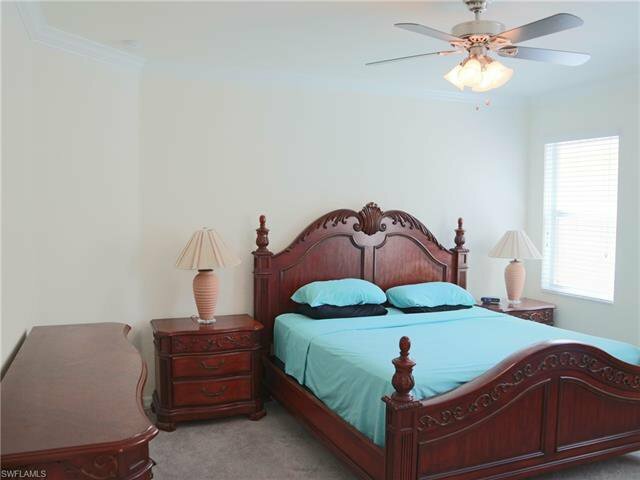 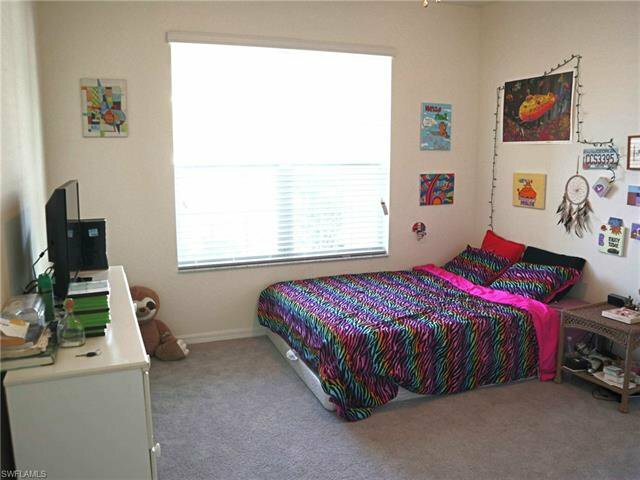 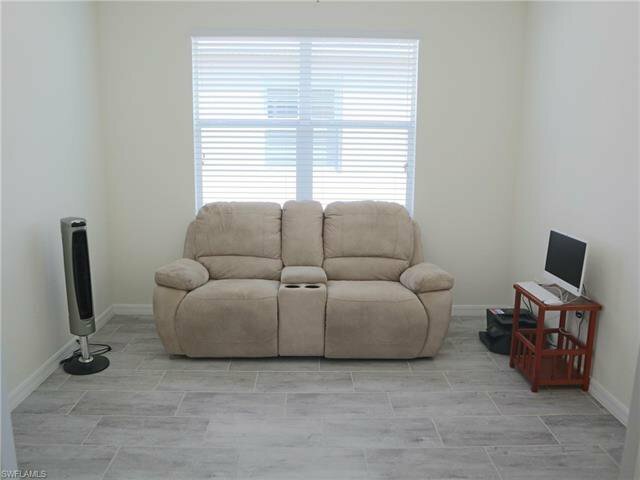 This 2 bedroom/2 bath/ with den/office area is just the right size! 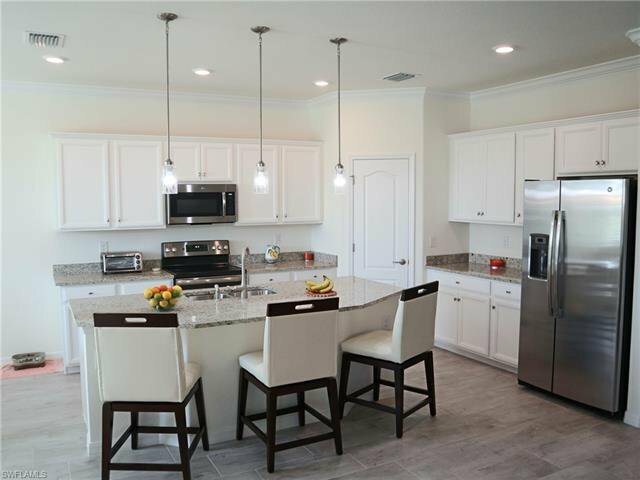 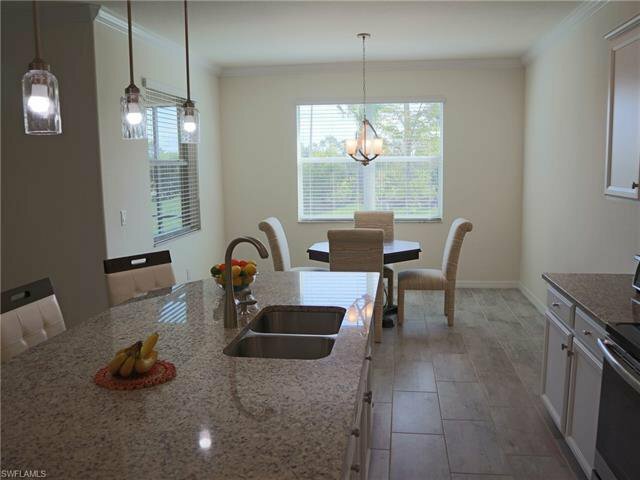 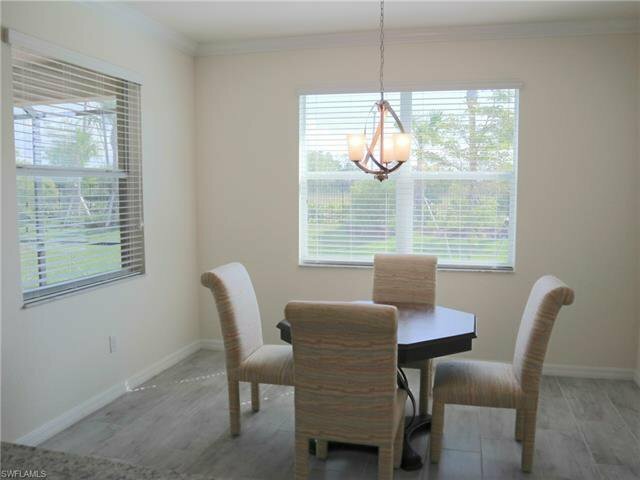 The open concept kitchen/dining room/living room areas are made for friends and family gatherings. 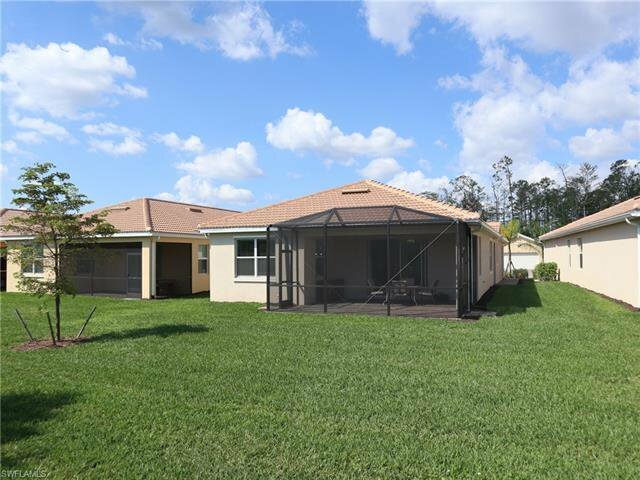 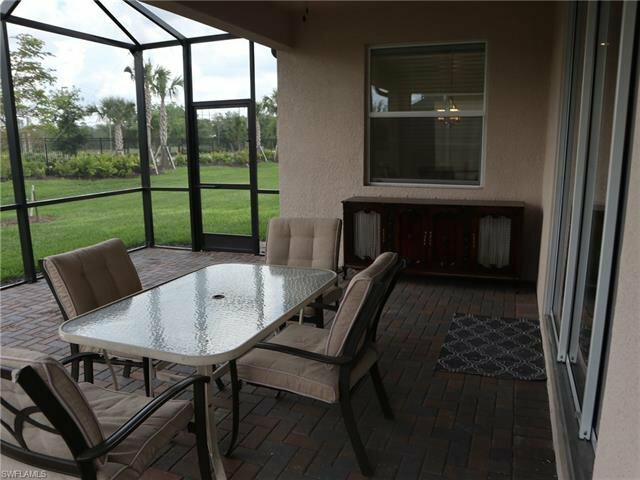 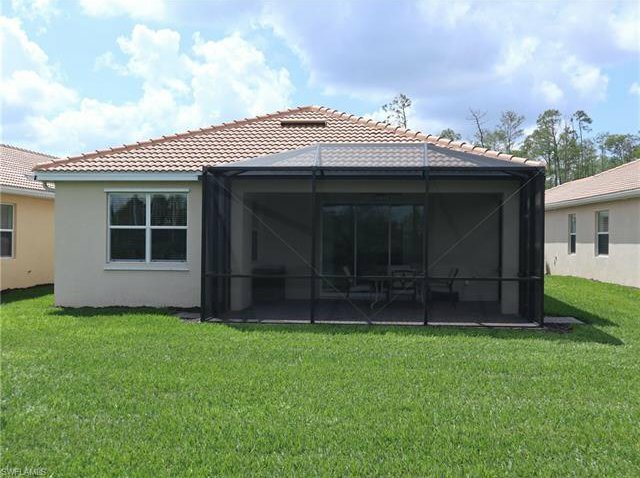 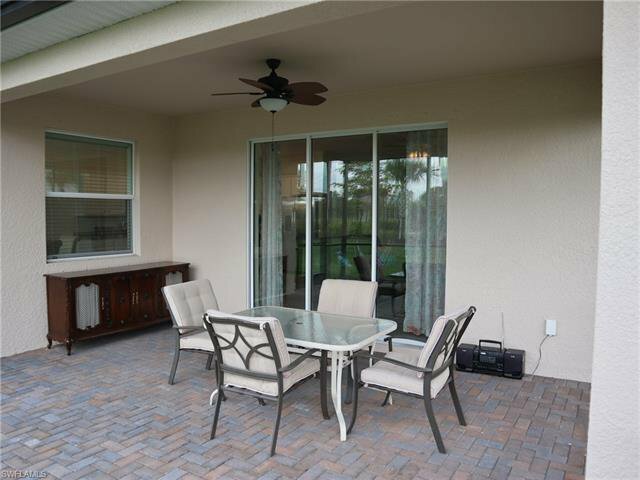 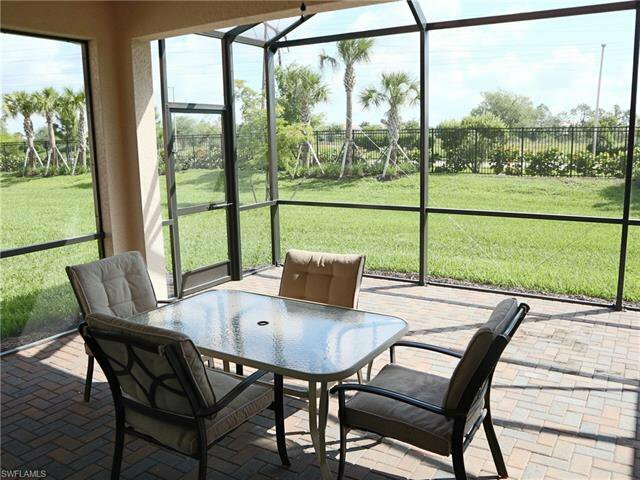 Enjoy sitting in the shade on the outside covered paver patio or get a little sun on the black framed screened lanai. 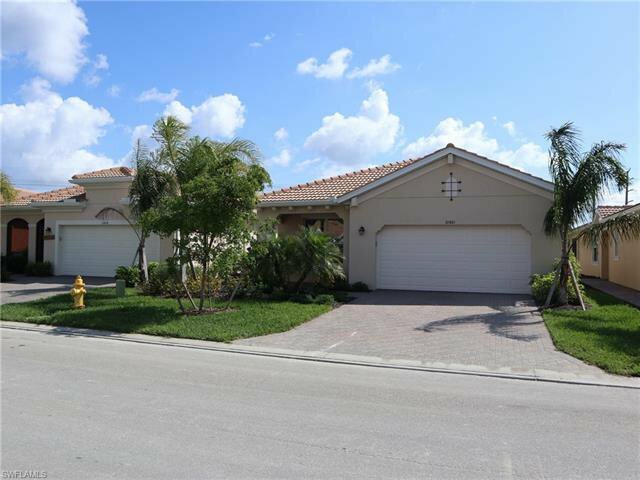 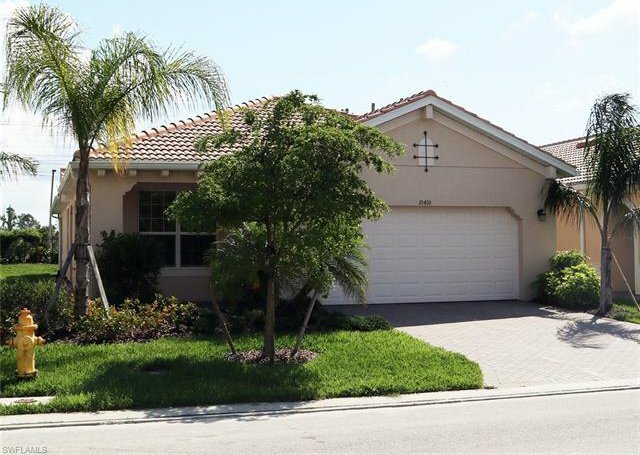 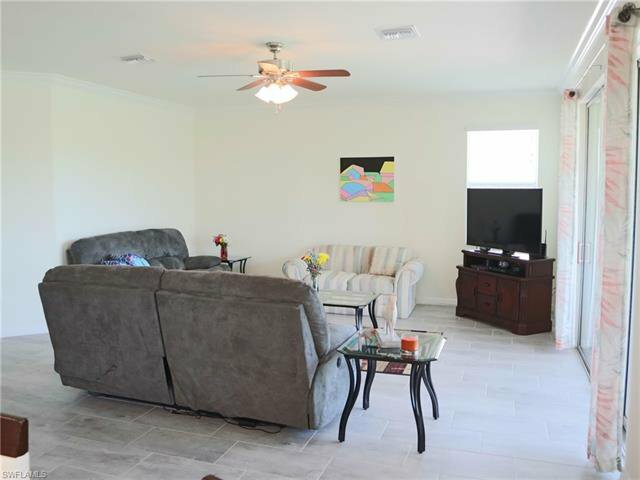 Don't miss out on this property! 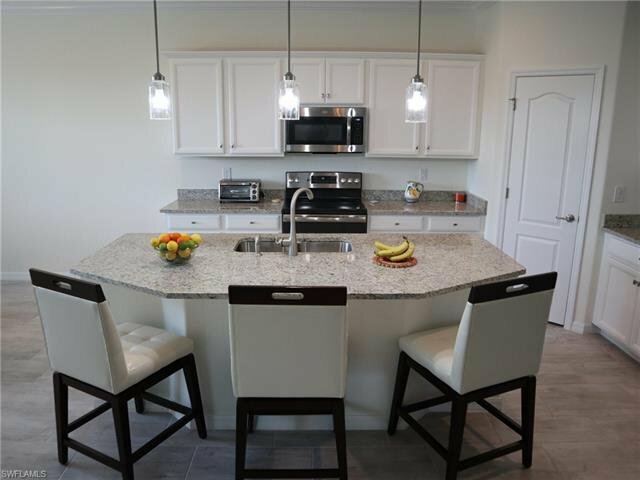 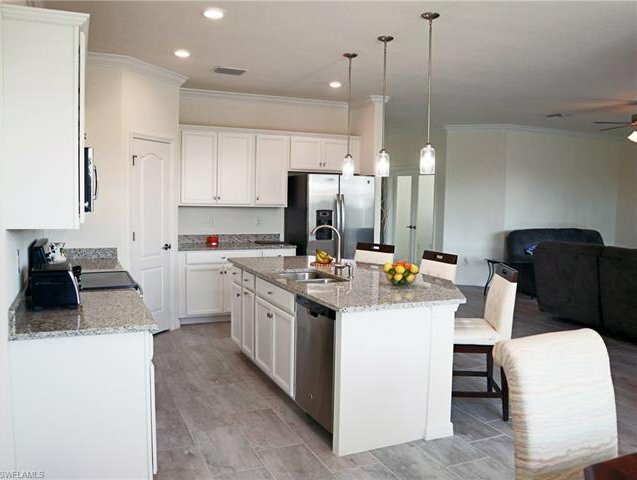 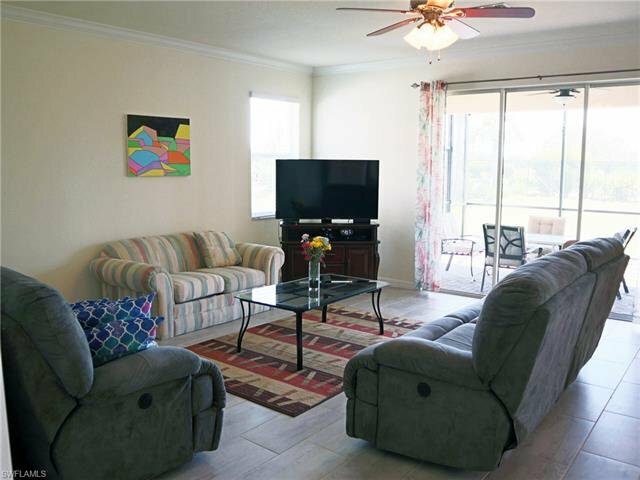 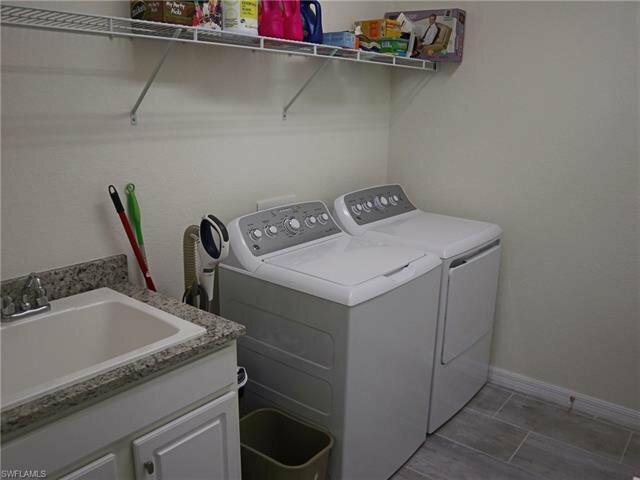 Resort style life at Pelican Preserve and everything it has to offer is just what you've been looking for! 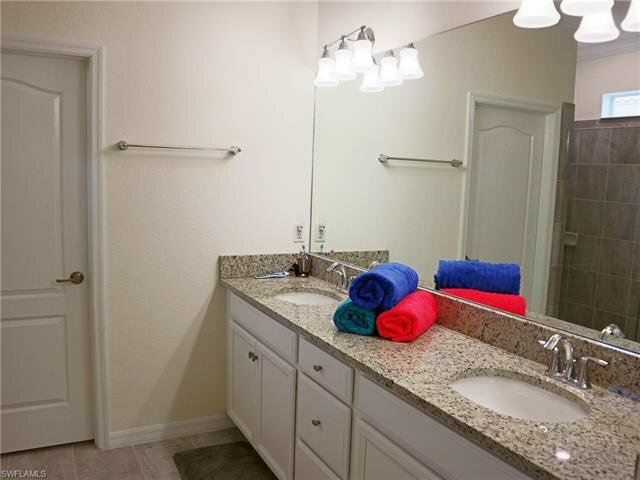 When you schedule your showing make sure you have time to take in ALL Pelican Preserve has to offer! 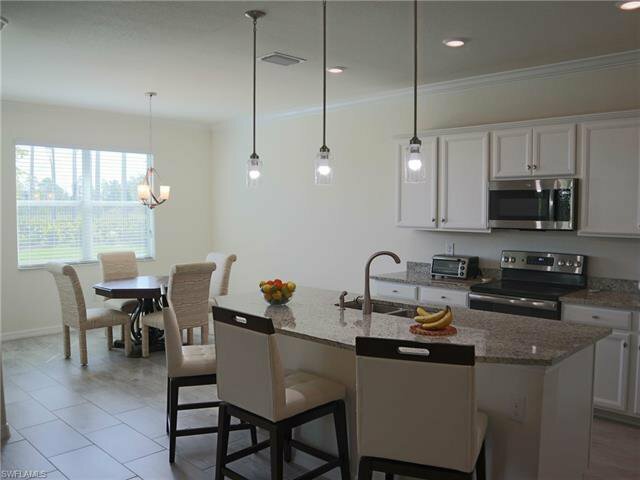 you will fall in love with it's promise of relaxation and community life!